Let’s face it, the Honda Civic in its current form has been somewhat of a disappointment when it comes to being the compact front-wheel-drive champion that enthusiasts adorned many years ago. Even the current Civic Si has received criticism from long-time advocates of Honda’s sport compact car segment. Reportedly, things are about to change, at least for the over-seas European market as Honda sets out to introduce a new Civic Type R.
Honda’s CEO Takanobu Ito has confirmed that a new Civic Type R is on the way as they are poised make it “the fastest front-wheel drive car around the Nurburgring’. There is no doubt that Honda is set to make a comeback and restore that enthusiastic passion they once had for automotive purists. With the introduction of a new Civic Type R, and other goodies such as the new NSX expected in a couple years, it will help usher in a new season for Honda/Acura. A new Civic Type R will do away with the 2.0-liter VTEC engine replacing it with something along the lines of a 1.6-liter Turbocharged engine that revs to 8500 rpm to produce about 310 horsepower. That would make it the highest output 1.6-liter 4-banger on sale. 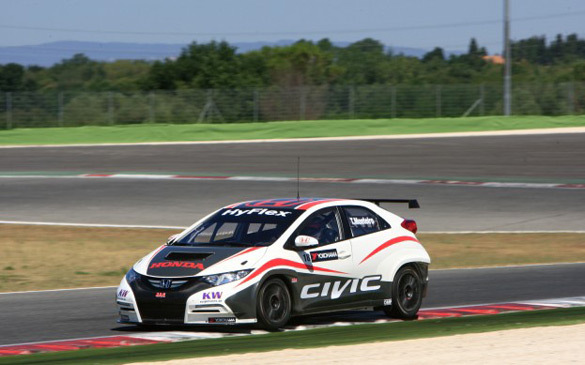 The engine will come off of the heels of Honda’s engine development for the WTCC World Touring Car entry. Still, specific details about a new Civic Type R are under wraps. For now we only expect the Civic Type R to reach Japan and European countries while any type of inclusion for the USA has yet to be seen. Hopefully a new Civic Type R would make room for a much ‘better” Civic and other “exciting” products for Honda here in America. Let’s keep our fingers crossed.